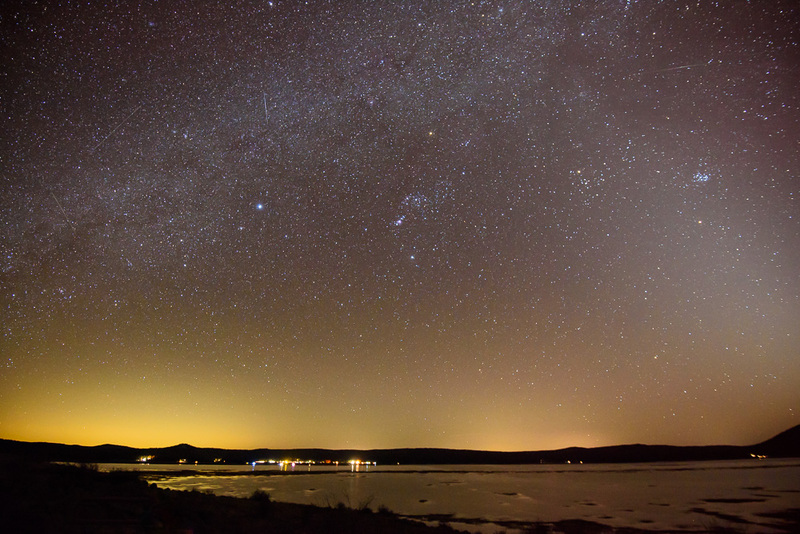 The past week has been bountiful for photographing objects in the night sky. These objects include Mercury, Venus, Mars, the Moon, and the Zodiacal Light. 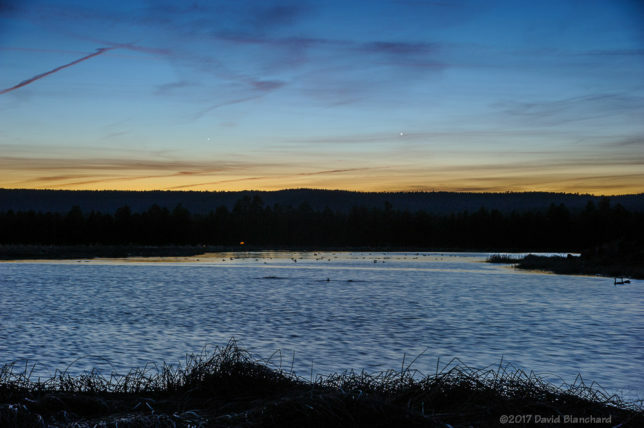 In mid-March the planet Venus was an evening object but was dropping closer to the horizon each evening. At the same time, Mercury was rising higher each day. 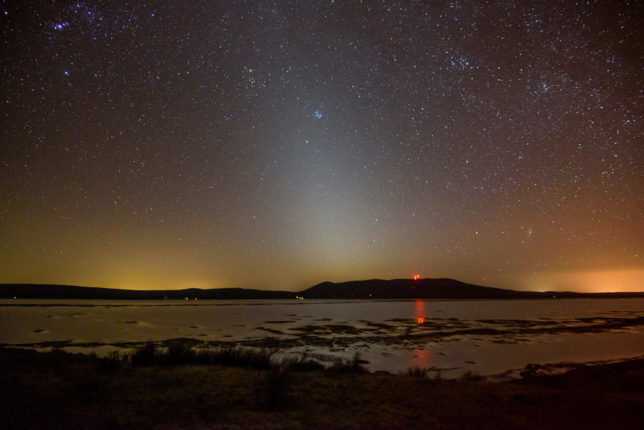 On 18 March 2017, they were roughly side by side and presented an interesting spectacle in the evening twilight. 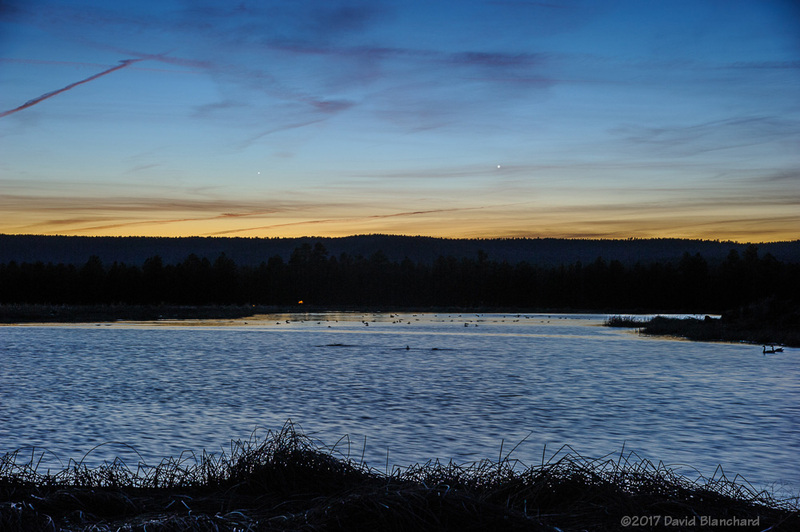 Venus and Mercury in the evening twilight above the Kachina Wetlands. Venus can be seen just to the right of center of the image; Mercury is left of center. 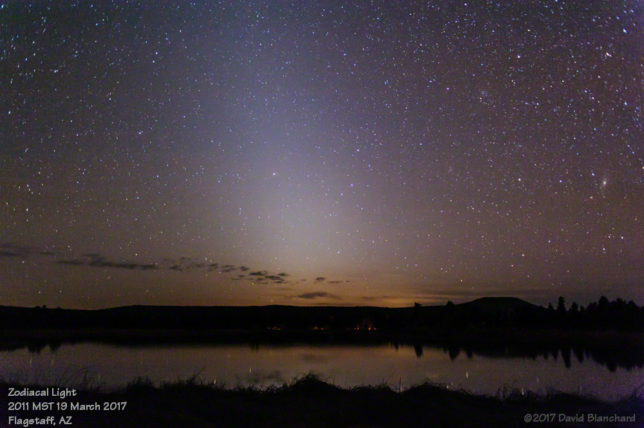 The following night I returned to Kachina Wetlands but later in the evening to capture the Zodiacal Light. 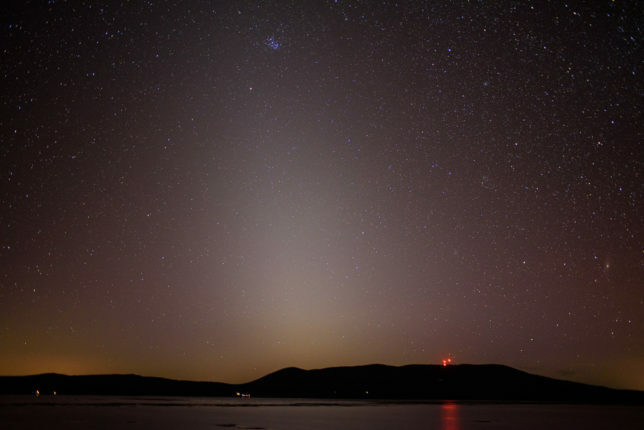 The Zodiacal Light is a faint, roughly triangular, diffuse white glow seen in the night sky that appears to extend up from the vicinity of the Sun along the ecliptic or zodiac. Zodiacal Light (28mm focal length).